Whichever option you choose, you should be able to save anywhere between 41% to 75%. If you’re still unsure whether you should choose NordVPN, don’t hesitate to read this review. In a nutshell, we found NordVPN secure and private (hence it ranks #1 in our top 10 list). NordVPN’s most popular discount/coupon offer is their $2.99/mo offer where you need to pay 3 years (or 36-months) upfront with a total of $107.55. Compared to their regular, monthly plan, you are able to save 75% or $300 over a period of 3 years. Click here to activate 3-year coupon. Another popular coupon is their $3.99/mo offer for 2 years. You’d need to pay 24-months upfront and the total cost will be $95.75. Compared to their monthly plan, you are able to save 66% or $190 over a period of 2 years. Click here to activate 2-year coupon. 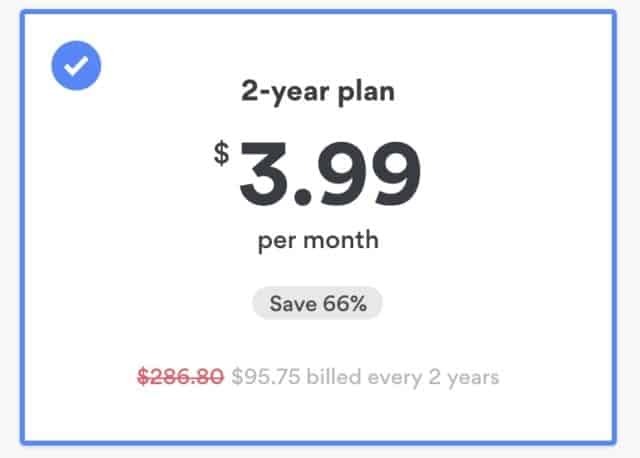 If you don’t want to use NordVPN for more than a year then it’s wise to get their yearly plan for $83.88. 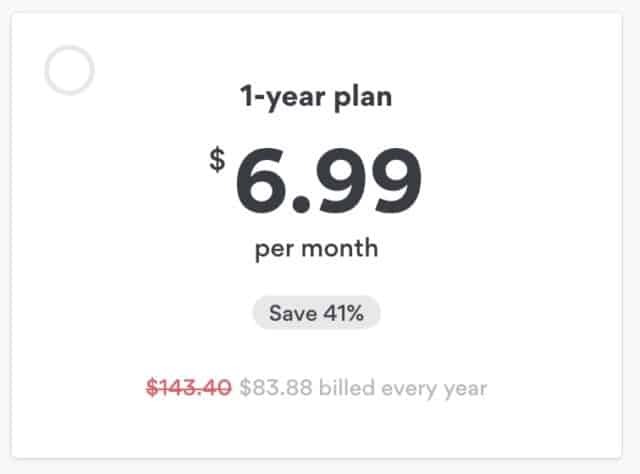 Compared to their monthly plan, your savings will be 41% or $59. Click here to activate 1-year coupon. NordVPN also offers 7-day unlimited free trial. Click here to activate free trial coupon. NordVPN’s one, two and three-year deals can be purchased using a number of different payment options. 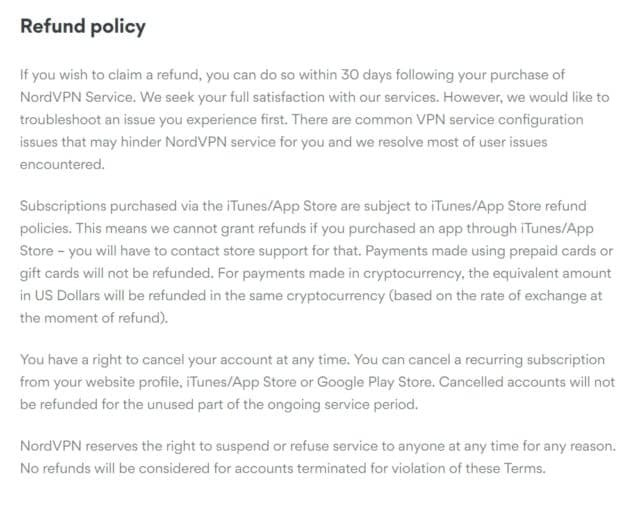 NordVPN also comes with a 30-day money back guarantee, and that extends to this offer as well. You can read their full refund policy below. It’s a fairly encompassing policy, even including a refund on cryptocurrency transactions. Most other VPNs won’t hesitate to stiff anonymous buyers. Very rare. Be aware that refund often takes 30 days to proceed. As of now, PayPal is not available for NordVPN. The $2.75 deal is not there. Any idea how to get it? 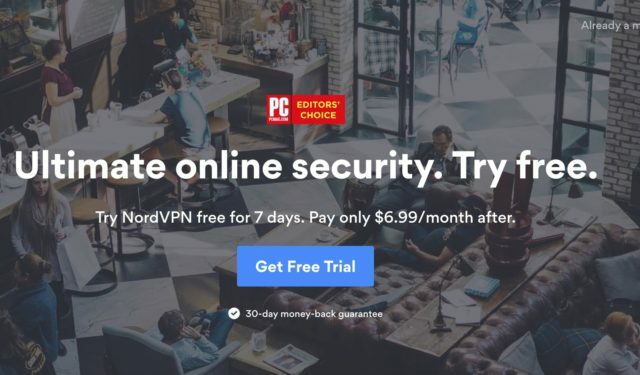 NordVPN does no longer offer this discount. The discount is there today… will give this a try. Correct. 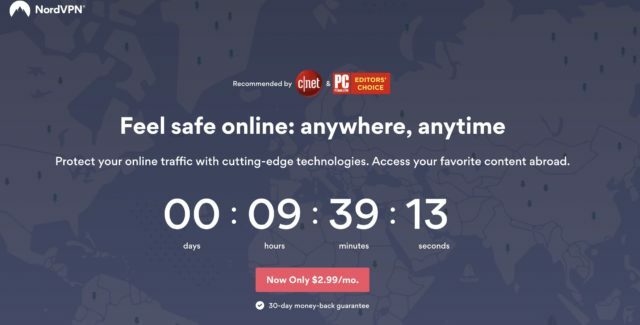 As of now, NordVPN is $2.99/mo. Thanks, this deal is still live and worked 🙂 Much appreciated guys. I think NordVPNs $2.99 deal is pretty sweet compared to ExpressVPN $6.67. They are both equally good. It’s worth noting that NordVPN charges an additional VAT (around 20%) for people outside US. Might sound stupid. Could I select a different country to avoid paying VAT 25% ?